If you are planning on moving to Spain, whether to Barcelona, Madrid, or a small village in the south of Spain, Dubai Movers has the expertise and the local knowledge to tailor the move to your specific needs. Spain was one of the most powerful empires in the world in the 16th century. Spanish people habitually eat lunch at 2 pm, have a siesta until 4-5 pm and dinner around 9-10 pm. Bullfighting, often regarded as an art and a popular attraction is the most controversial sport in Spain. Apply for an NIE and a residence permit as soon as possible if you are planning to stay for a long time. These will make you a legal resident and are useful for many transactions. The NIE (Numero de Identidad de Extranjero) will be issued by the immigration service and is needed to file taxes, buy or sell a property or to open a bank account. The residence permit (Residencia) is used for identification and as proof of address. EU nationals do not need a work permit to work in Spain. If you are moving to Spain with your children, look at the education opportunities before moving. There are a number of international schools in Spain. The cost of living and housing in Spain is still 20-30% cheaper than in the UK, depending on the region. 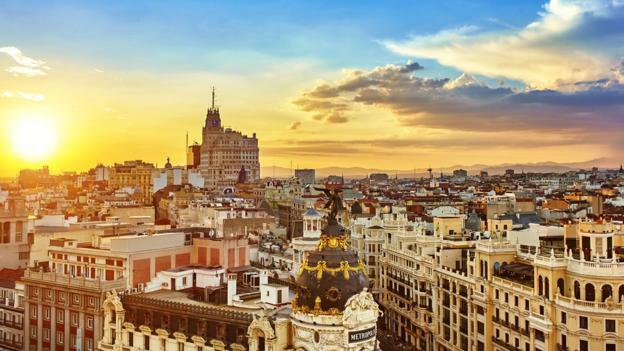 Consider employment opportunities before moving to Spain. You will most probably be able to find temporary work even if you haven’t secured anything from the UK, but wages will generally be lower. Your Move to Spain With Dubai Movers – Dubai Movers has a dedicated network of removers who will assist you with moving to Spain. We provide tracking for groupage consignments, to ensure a safe and reliable removal service. Your household goods can be transported to Spain by land, in sea containers or by air. We can also provide packing and a full door to door service to Spain. Additional removal services – Dubai Movers can provide a variety of additional services when moving to Spain. We are authorized to provide a comprehensive insurance, can arrange storage prior to delivery, and can also take care of your pet transport. If you are interested in moving to Spain, get a free removal quote, and read more about Dubai Movers, and our additional moving services, like Office relocation, Home Relocation, and international relocation.